There is no other chamber-music genre for which Mozart produced so many works – see the sonatas and variations – than that of the duos for piano and violin. He spent a considerable amount of time with the sonatas, probing every sound and every thematic limit and combination. He also explored the possibility of pairing off the two instruments, thus creating music of pure, timeless beauty bound with dramatic power, elegance and emotional depth. 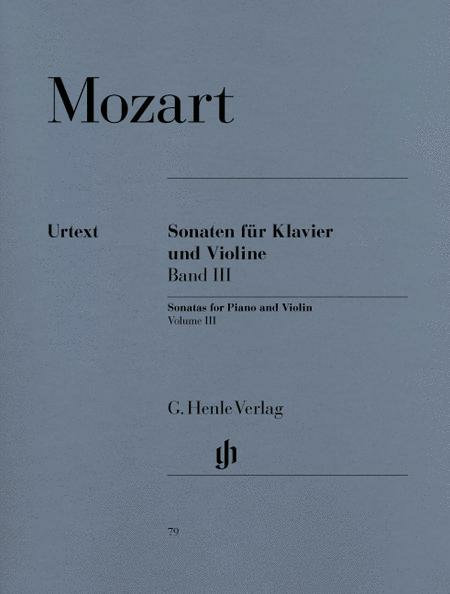 Contrary to the earlier violin sonatas, which were issued in cyclical groups of four or six pieces, Mozart had all the sonatas in this volume printed as single works, perhaps a sign of the significance he assigned to them – especially to the first three. These three grandiose works all bear traits of Mozart's mature mastery. 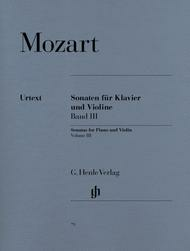 The Sonata K. 547, in turn, was designated by Mozart himself in his personal work catalogue as “little klavier sonata for beginners with a violin.” For the sake of completion and because of its popularity, the arrangement of the B flat major piano sonata K. 570 is reproduced in the Appendix, although it is in all likelihood a spurious work not written by Mozart.